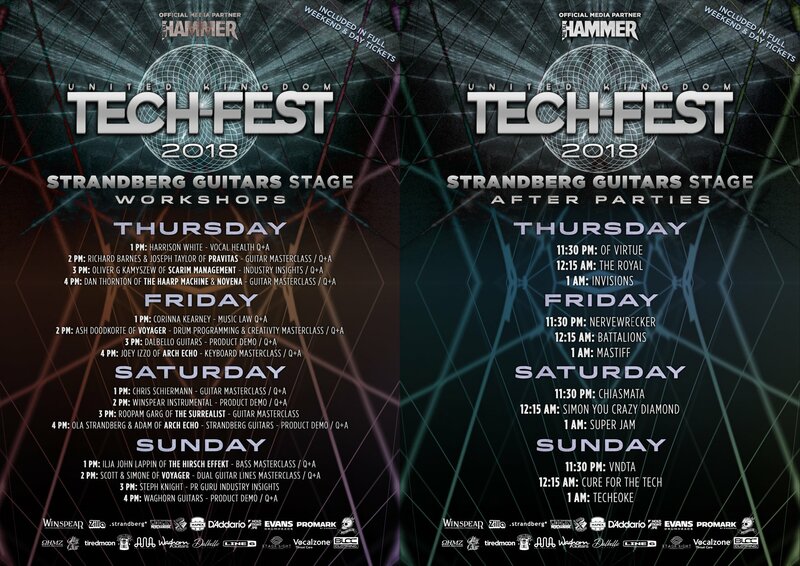 The british technical and progressive metal festival, UK Tech-Fest, have announced their plans for the workshops and after parties that are going to be present at this year’s edition of the festival. The workshops include masterclasses for guitarists, bassists, keyboardists, product demos and much more. The after parties take place after the main artist finish playing each day at 11:30 pm. 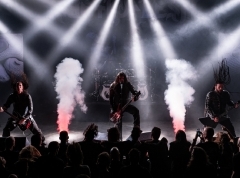 Each year the festival have had a classic cover set performed by artists in the tech metal community, including Pantera and System of a Down etc. This year is no exception, with the addition of the “Cure For the Tech” set, a Linkin Park cover set, which should be a fine tribute to the late Chester Bennington. This year also sees the return of Techeoke during the final after party, a karaoke session featuring metal songs of all kinds, including tech. The festival runs from the 5th of July till the 9th of July on Newark Showground in Newark-on-trent, UK. Tickets are available here.